ROTO HAMMER CORE BIT - 3"
This 3" spline shank core bit can be rented with our Bosch rotary hammer or for your own spline shank machine. 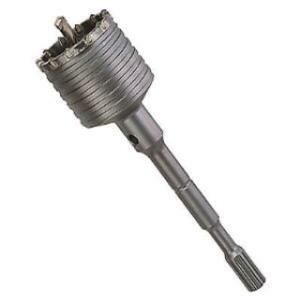 A knockout starter bit is included to help get the bit centered. Ideal for drilling holes in masonry and concrete. * Please call us for any questions on our roto hammer core bit 3 inch rentals in Hillsdale and Ridgewood NJ.